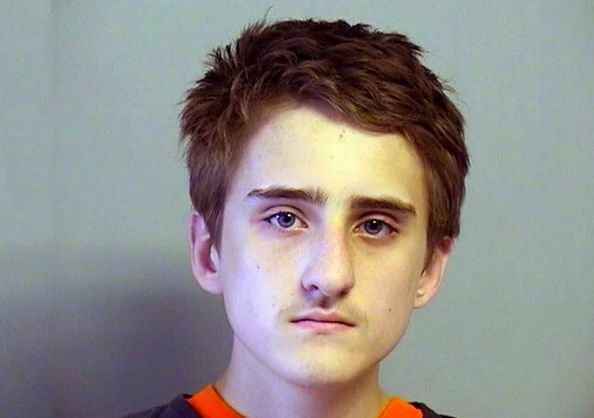 An Oklahoma teenager has been sentenced to five life imprisonment jail terms for the stabbing to death of his father, mother, two younger brothers and sister in 2015. According to ABC News, the sentences will run consecutively. Michael Bever, who was 16 at the time, together with his 18-year-old brother Robert Bever, carried out the killings. The family was found dead inside their home in Broken Arrow, Oklahoma, after one of the deceased called 911 claiming his older brothers were attacking the family. Michael and Robert left two survivors: their 13-year old and 2-year old sisters. Michael was convicted of assaulting the 13-year old and sentenced to 28 years in prison on Thursday, in addition to the five life sentences. In 2016, Robert pleaded guilty to the murders and was sentenced to life in prison without parole. No reason was given for the killings and ABC reports that after the tragedy, neighbours said the parents never allowed the kids mingle with others in the neighbourhood. They were all home-schooled, they added. Robert told police that his dad beat him, adding that he once dragged him up the stairs for leaving the light on and his mother slapped him, leaving a mark. Robert described to police how he planned and carried out the killings, saying he was hoping it would bring him fame. Robert testified that he wants to take responsibility for all the killings. Michael’s defence attorneys also argued that he (Michael) was led astray by his older brother. Prosecutors argued that Michael was a willing participant in the crime and should be sent to jail. Fix your typo! No reason was giving for the killings (You meant given right)? Why are they still. alive? I thought the chair and the injection were made for deviants like these?